Cabot Norit Activated Carbon is the largest producer of powdered activated carbon worldwide and leads the power generation industry in activated carbon technology for mercury removal. Mercury emissions from coal-fired generators are a major environmental concern, due to the toxicity and persistence of mercury that accumulates in our waterways. New regulations to limit mercury emissions from coal-fired generators are being enacted in the US, Canada and other countries around the globe. Cabot Norit Activated Carbon is uniquely qualified, with more mercury emission systems installed in the coal-fired power plant industry than any other company. Cabot pioneered the use of activated carbon for mercury capture beginning with municipal waste incineration in the 1980s. Cabot’s family of powdered activated carbon (PAC) products leads the power industry in market share and testing. And with almost 100 years of experience in activated carbon product innovation, Cabot is leading the industry in developing new products that are tailored to meet customer needs. Cabot pioneered the use of PAC technology for mercury and dioxin emission control, including the development and supply of storage silos and dust-free dosing units specifically designed for flue gas treatment. Treatment systems designed and installed by Cabot, and using Cabot specialty PACs are currently in operation in many locations. If you need a solution for mercury emissions, Cabot can provide plant-tested and proven technology-based powdered activated carbon injection to cost-effectively meet new regulations without disrupting operations. The computer controlled feeders, storage silos and PAC injection equipment engineered by Cabot is designed for long-term reliability, low maintenance and ease of operation. In addition to custom equipment designed for direct integration into your plant layout and existing process control system, Cabot can provide specialty powdered activated carbon tailored for mercury emission removal, from a variety of different flue gas compositions. For unmatched equipment reliability, technical support and value, a Cabot turnkey sorbent injection system is the mercury emission control solution of choice for the power industry. Cabot’s experience includes participating in more than 60 Department of Energy/private demonstrations in coal-fired applications. We perform every aspect of product testing, from system evaluation to ACI optimisation and mercury removal monitoring. TACSMART, Cabot’s total AC strategic manufacturing and regional transportation system, is a network of regional transloading facilities supplied by multiple Cabot manufacturing facilities, to ensure product availability and minimise transportation costs. Ongoing R&D and innovation is at the core of Cabot’s business. Cabot’s R&D centre is at the forefront of exploring a wide variety of raw materials and surface modifications to advance the chemical and physical properties that impact mercury removal performance. Cabot is a global leader in the research, development, manufacturing and sale of high-grade activated carbons used in a growing range of environmental, health, safety and industrial applications. We complement our activated carbon products with on-site systems and services, as well as reactivation solutions, to help meet our customers’ specific needs. Our purification technologies are widely used to remove pollutants, contaminants and other impurities from water, air and other liquids and gases in an efficient and cost-effective manner. 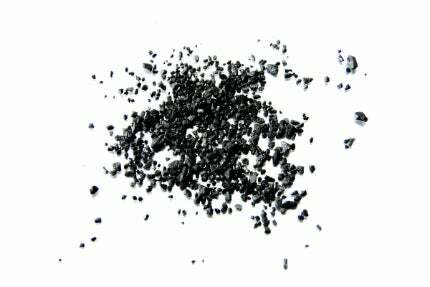 Our activated carbon products are also used as colourants, carriers or catalysts in industrial processes. Building on our nearly 100-year history of innovative product development, we produce a diverse array of products with over 150 different activated carbon formulations engineered from a wide range of raw materials including lignite, peat, bituminous coal, coconut, olive pits and wood, among others. Our global base of over 3,000 customers includes manufacturers, municipalities and utilities that use our products in a wide range of end markets, including gas and air, water treatment, pharmaceuticals, food and beverage, chemicals, industrial catalysts, energy, power and mining. Our products are sold globally into over 100 countries principally through our sales offices, as well as through a network of regional agents and distributors. We have developed long-standing relationships with many of our customers.